I thought I would share some of the things I’ve made for Bobby recently. We have been watching Dexter obsessively and we’re now midway through the third season (the fourth one premieres in the end of September). There was a character in the second season that ate cucumber and cream cheese sandwiches for lunch every day, and Bobby wanted to try them (he never had before). I was shocked, so we immediately went out to whole foods for some soft whole wheat bread and cream cheese. 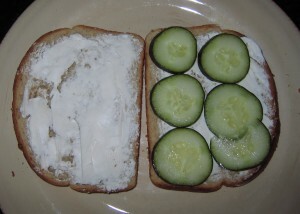 It was simple to prepare – 2 pieces of bread, cream cheese on both sides, and sliced cucumber. Some dill would be a nice addition. He loved it – it’s a new favorite. 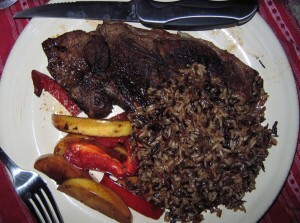 Another nice meal was Whole Foods lamb (on sale this week) with wild rice and grilled red peppers and fuji apples. I stole a few bites of this and it was delicious. It was another new thing for Bobby – he doesn’t think he’s had lamb before, but he really liked it. I love lamb – I just don’t have it that often. It was a nice treat. I was influenced by Dexter, too – there was an episode in which Deb started listening to Chopin, so I downloaded a CD of “Favorite Piano Works”. I used to play piano (I suppose I still can) and they make me miss it. I signed up for an Anthropology class at a local community college, and it meets tonight. It’s once a week for 3 hours on Wednesday nights. It’s a Physical Anthropology class – “The study of human origins, including evolution, genetics, variability, fossil evidence for human evolution, comparative primate anatomy and behavior.” I’m pretty excited for it. I found a ridiculous word this morning – floccinaucinihilipilification – it means “the action or habit of estimating as worthless”. I think someone needs to estimate floccinaucinihilipilification as worthless. It’s a combination of 4 Latin words (flocci, nauci, nihili, pilifi) that all mean “at a small price”/”for nothing”. Apparently uber-literate British men used to make up words like this all the time just for fun. I just wrote a piece on crazy English spelling which was also influenced by British men wanting to seem smart or dandy. 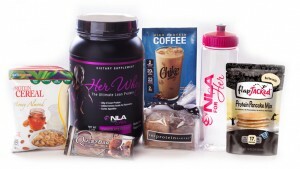 What’s your favorite after dinner treat? how did bobby like the cucumber cream cheese sandwich? i’ve actually never had it before, either. Love the cuc sandwiches…very British 😉 I’m really into fro-yo lately after dinner. Just a little scoop and I am happy! I’m a sucker for my frozen hot chocolate: almond milk, stevia, cocoa powder and ice…all blended up. It’s my nightly milkshake! cream cheese with cucumbers is a classic sandwich spread…. in ARgentina? or somewhere else? not sure, but I’m sure I’ve seen it. After dinner, D and I have been enjoying Smooze all summer long. Little push up pops of coconut and fruit(mango/passionfruit/guava/pineapple) We’ve been eating quite a bit of Gena’s banana soft serve too! That word is ridiculously long!! I don’t know how anybody could even come up with such a word! I don’t really know what my favorite after dinner treat is. I used to have dark chocolate, but that’s out for a while:-( I have been enjoying Medjool dates some lately. The daggone health food store didn’t even have any today though!!UGH! I’m not really a big after dinner eater. I think if I do have something it’d be fruit, nuts, or popcorn. I am a Mood GIRL and so whatever the mood calls for. Last night was nothing… the night before that…was rice….the night before that… a bite of coconut butter…. I should try being normal for a change. would LOVE to hear that word pronounced! I want to use it to mess with my Teen…. super cali fragilistic expialidocious….. type of thing. did these Brits break out in song? 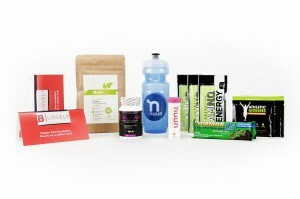 well, I am off to a love of words for my daily food for thougth! Love cucumber and cream cheese sandwiches. They make me think of afternoon tea. Also love lamb, but rarely eat it. So good. Should eat more. My favorite after dinner treat is a square of dark chocolate or a home baked muffin. Cucumber sandwiches are delicious! Makes me feel more lady-like. I love something with a little chocolate after dinner. i used to love cucumber and cream cheese sandwiches. i got addicted to them when i was studying in london! i love dark chocolate after dinner. or berries and a spoonful of nut butter on the side. and i always have to have tea! whoa! what a weird word! O didnt even try to pronounce it. Lately I have not been having an after dinner snack just a huge cup of hot tea 🙂 Cant wait to see what you had. Maggie, I’ve never hear of that word, but it beats Supercalifragilisticexpialidocious!